So she may not be my favourite celebrity, I mean who cheats on Robert Pattison? But she has just been crowned Glamours Best Dressed for 2013 and I do like her style. Laid back, cool and simple, can’t fault it really. I get the impression she just wears what she likes and doesn’t care about having her photo taken or the tabloids opinion of it. Stealing her style is a pretty easy task. Skinny jeans are key, I find Gap have the best jeans on the high street. Next up, leather jacket; All Saints have amazing ones but if that’s outa your budget head to good old Topshop. 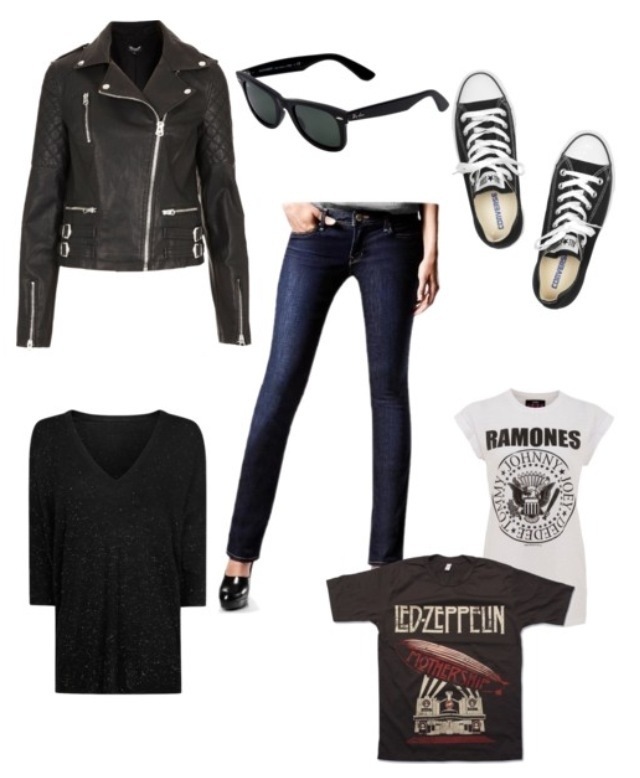 Throw in some band t shirts, oversized jumpers and some converse. Oh and don’t forget the obligatory Wayfarers, worth the price tag – you’ll wear them forever. Bring out a red carpet though and all bets are off.